Welcome to the first series of blogs aiming to introduce the birds that may be photographed in Turkey. My aim is to endear the birds to the general audience along with giving short information about their descriptions, habitats, biology and behaviours with the resources and references I have used. The Great Crested Grebe is the largest member of the grebe family. They measure 46–51 cm (18–20 in) long with a 59–73 cm (23–29 in) wingspan and weigh 0.9 to 1.5 kg (2.0 to 3.3 lb). It is an excellent swimmer and diver, and pursues its fish prey underwater. The adults are unmistakable in summer with head and neck decorations. In winter, this is whiter than most grebes, with white above the eye, and a pink bill. 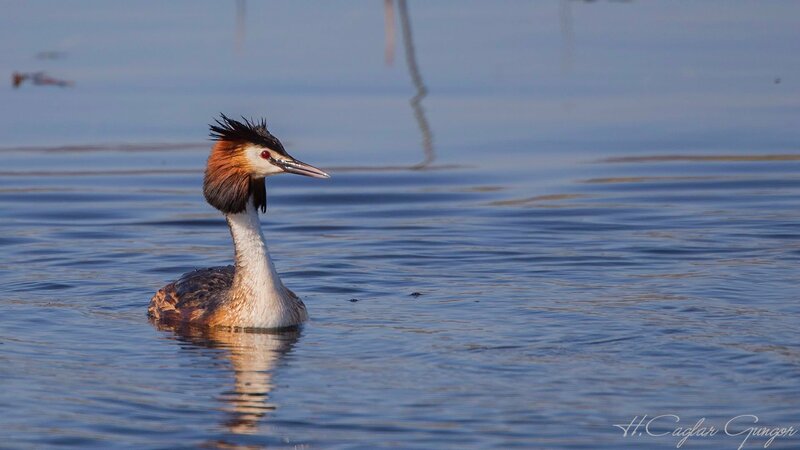 The Great Crested Grebe breeds in vegetated areas of freshwater lakes. It is resident in the milder west of its range, but migrates from the colder regions. It winters on freshwater lakes and reservoirs or the coast. 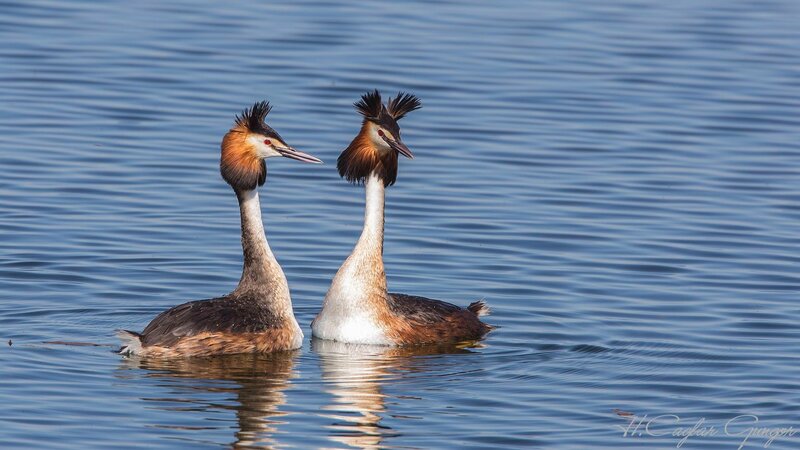 The Great Crested Grebe has an elaborate mating display. Like all grebes, it nests on the water's edge, since its legs are set relatively far back and it is thus unable to walk very well. Usually two eggs are laid, and the fluffy, striped young grebe are often carried on the adult's back. 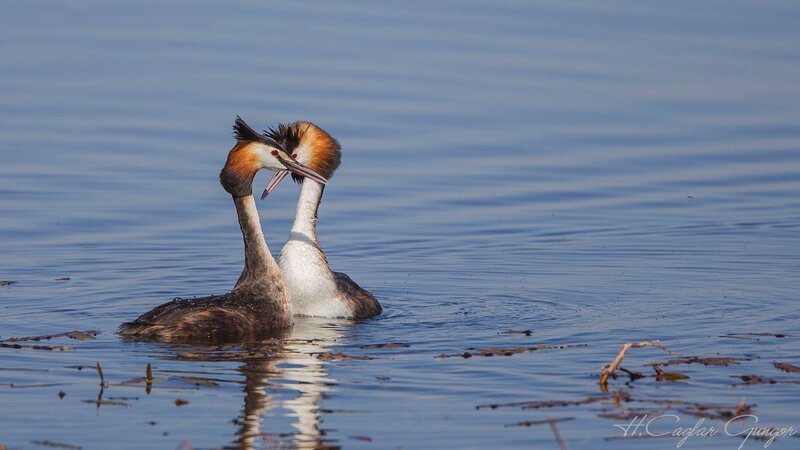 In a clutch of two or more hatchlings, male and female grebes will each identify their 'favourites', which they alone will care for and teach.